Nebraska FFA Chapters have began collecting funds for the “I Believe in the Future of Ag” campaign. Every chapter in Nebraska is eligible to raise funds to be sent into the Nebraska FFA Foundation to be apart of the campaign. Last year, 74 chapters across the state raised over $301,000! 40 of those chapters raised over $1,000. The chapters that take part in the “I Believe” program to receive 100 percent of their local donations back and a portion of the $35,000 matching pot. 23 corporate partners are participating in the “I Believe in the Future of Ag” campaign to provide these funds to FFA chapters all over Nebraska. A great example of this campaign is the Stuart FFA Chapter. The Stuart FFA Chapter is halfway to their fundraising goal of building a greenhouse thanks to their donors and the “I Believe in the Future of Ag” campaign. By 2019 they hope to have constructed a greenhouse to provide Supervised Agricultural Experience opportunities to their FFA members. The food they grow will be produced to supply school lunches with fresh foods or donated to their local nursing home and food pantry. Other funds they raise go towards state and national convention fees and travel expenses for their 40 members. 100 percent of their high school is a part of the agricultural education program. The school sends out a monthly newsletter to parents, businesses and patrons in the district that includes information about what the chapter is currently working on or accomplishing. The newsletter is also a way to promote the “I Believe in the Future of Ag” campaign at their school. Many other FFA chapters across Nebraska are doing projects or activities like Stuart with their funds they earn. If you would like to donate to the “I Believe in the Future of Ag” campaign contact your local FFA chapter or click here. Everyone is welcome to attend Mark Poeschl’s presentation for the UNL Heuermann Lecture series titled Leadership and Sustainability | Sustainability and Survivability: The Balancing Act to Feed the World. The presentation will take place on January 10th at 7:00 p.m. at Nebraska Innovation Campus Conference Center. Poeschl was a FFA state president here in Nebraska in 1978-79. He graduated from the University of Nebraska- Lincoln and then moved to St. Louis to begin his career at Purina. Later he moved to Lewisburg, Ohio to work for an animal nutrition firm named Carl S. Akley, Inc. In 2007, he then became the CEO of North American Nutrition, and then in 2011 began working for Cargill Animal Nutrition. Poeschl is now the Chief Executive Officer of the National FFA Organization and the National FFA Foundation. He is in charge of the long-term success of both the FFA organizations. He also assists in overseeing the family farm operation in Nebraska. As you can tell he has had a big impact on FFA and Nebraska. You can click here to find out more information about his presentation. Hope you can make it to Poeschl’s presentation on January 10th, but if not you can watch the presentation live if you click here. The Aurora Cooperative knows the future of agriculture depends on FFA students. The Coop was started in 1908. They provide services and goods to their farmer-owners in four businesses. Those businesses include grain, agronomy, livestock nutrition, and energy. The Aurora Coop has been a sponsor for many years on the local level. They have been a sponsor on the state level for at least five years. The Aurora Cooperative is one of our Spotlight Sponsors this year for the Nebraska FFA Foundation. The Aurora Cooperative believes that if students have the opportunity to be a part of FFA, they should because it is a great opportunity. Dawn Caldwell said, “Our observation of youth who are strong FFA members is that they possess a number of desirable qualities including good communication, respect of others, professionalism, record keeping, and responsibility.” She also said, “Often, the students who intern at the Aurora Cooperative were FFA members. We appreciate what FFA members bring to us in terms of fresh ideas. 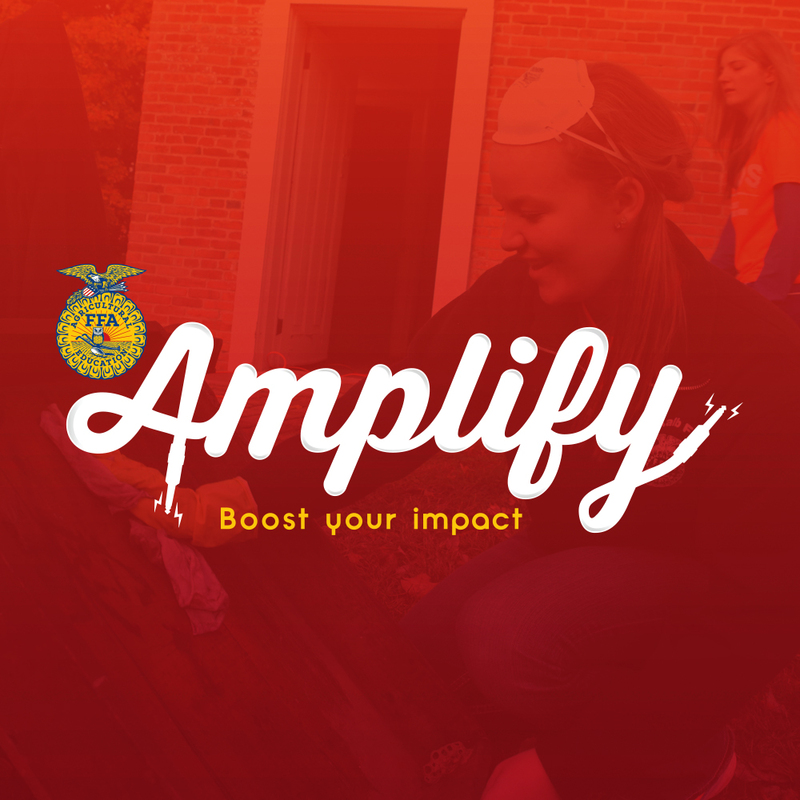 We also enjoy that they challenge us to be our best when we judge contests or make presentations.” They see that sponsoring the Nebraska FFA Foundation has a great benefit for their coop. They enjoy having the opportunity to network with FFA members from all over the state. They also are able to build relationships with FFA members who one day could be an employee with them or working for one of their vendors. The Aurora Cooperative is not only a great sponsor on the state level, but also on the local level. They try to go to classrooms to give lectures, support greenhouse projects, test plots, and other unique chapter projects. They work with Syngenta to donate FFA jackets to chapters in their area. The Nebraska FFA Foundation would like to thank the Aurora Cooperative for their generous donations. This post is the first in our series of Nebraska FFA Officers where you get to know the 2014-15 team. 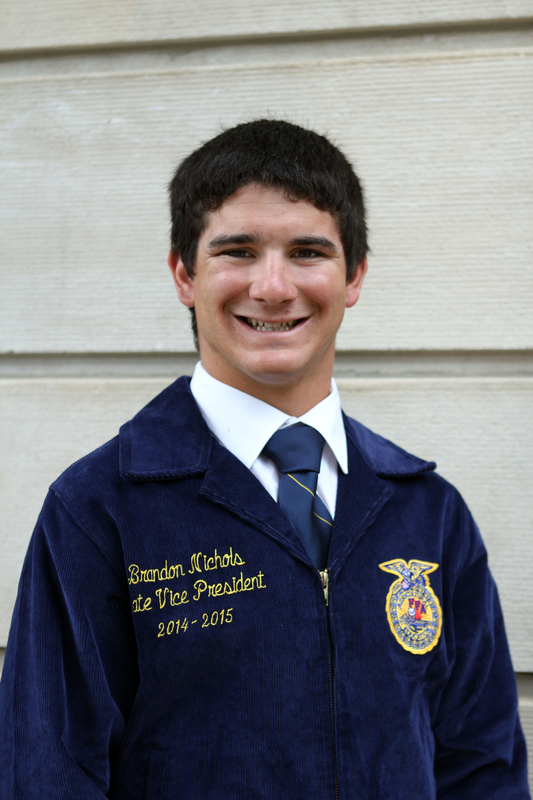 This month, let’s meet State Vice President Brandon Nichols from the Bridgeport FFA Chapter. What FFA activities were you involved in during high school? I was involved in ag demo, extemporaneous speaking, livestock management, farm and ranch management, range judging, and livestock judging. In high school who did you look up to as a role model and why? I always looked up to my Dad because he was always so smart and could figure things out without all the information. He was understanding and could always talk to him about stuff. For fun I play sports, hang out with friends, or do something on the farm like drive a tractor or check cows. What were your Supervised Agricultural Experiences (SAE) and how did you become involved in them? My first SAE is a commercial cowherd. I started this herd when I was ten years old with an FSA youth loan. My second SAE is working on our family’s farm and ranch. I became involved in this before I could remember. I always wanted to help out some way on the farm. Where are you attending college and what are you majoring in? I am attending the University of Nebraska Lincoln and majoring in Agricultural Economics and Pre-Chiropractic with a minor in entrepreneurship. What activities are you becoming involved with as a college student? I am not sure of what activities there are to participate in while down at college, but I’m excited to find out. My career goals are to return to our family’s farm and ranch and help manage it alongside my brother and to be a part-time chiropractor. What inspired you to run for a state officer position? Two previous state officers inspired me to run for office when we were at a beef leadership symposium. They both looked at me and said I should run for state office. What has been the best part of your officer year so far? The best part of my year so far has been to have the opportunity to meet such a large variety of members that Nebraska has offered and to form a connection with them. What words of advice do you have for FFA members across the state? Keep up what you all are doing. Nebraska FFA as a whole has some quite unique top ranked qualities about it and competes very well against other state in many ways. What has been your biggest moment of learning as a state officer? My biggest moment of learning so far has been learning that my choice of words when talking to people can go in so many directions. How I use this word choice helps people better figure out questions on their own without being told the answer.